The Satanic Temple group is working to bring an after-school Satan club to elementary schools. 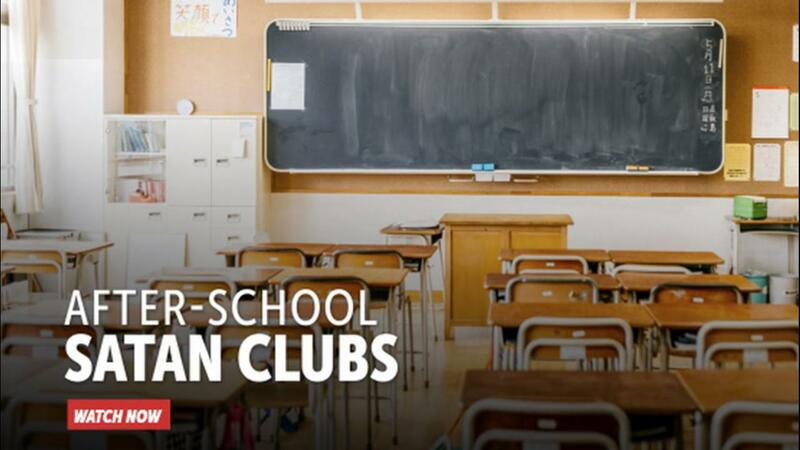 After all, they say, evangelical Christians are able to bring after-school clubs for their religion to elementary schools, so kids should be allowed to have options. "It's critical that children understand that there are multiple perspectives on all issues, and that they have a choice in how they think," said Doug Mesner, who goes by the name of Lucien Greaves and is the Satanic Temple's co-founder. It should, of course, be noted that the Satanic Temple group does not actually believe in or worship Satan. The group is one that offers tongue-in-cheek critique to highlight the separation of church and state and in fact considers the devil to be a "metaphorical construct" that represents a release from tyranny over the mind. Children who are part of the club will be given healthy snacks, and participate in literature lesson, creative learning activities, a science lesson, puzzle solving and an art project. Any children who attend must have a signed permission slip from a parent. The after-school program idea was put forward particularly for schools in which evangelical Christians have a Good News Club, a fundamentalist club that reaches children as young as five that has been largely excluded from school programs because of the fear that the intense religious beliefs espoused by the program would violate the Constitution should they be allowed in schools. However, there are currently 3,560 Good News Clubs, according to the Child Evangelism Fellowship (CEF). "We would like to thank the Liberty Counsel specifically for opening the doors to the After School Satan Clubs through their dedication to religious liberty," Greaves explained to the gathering of chapter heads in Salem. "So, 'the Satanic Temple leverages religious freedom laws that put after-school clubs in elementary schools nationwide.' That's going to be the message."